The F-90M is the professional's choice for locating buried valve boxes and covers. 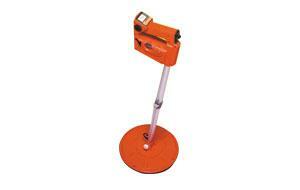 The F-90M detects buried metallic objects such as meter boxes, valve boxes and manhole covers. Ferrous metal objects can be detected more than a foot beneath the surface, which is indicated by both an audible tone and meter deflection.